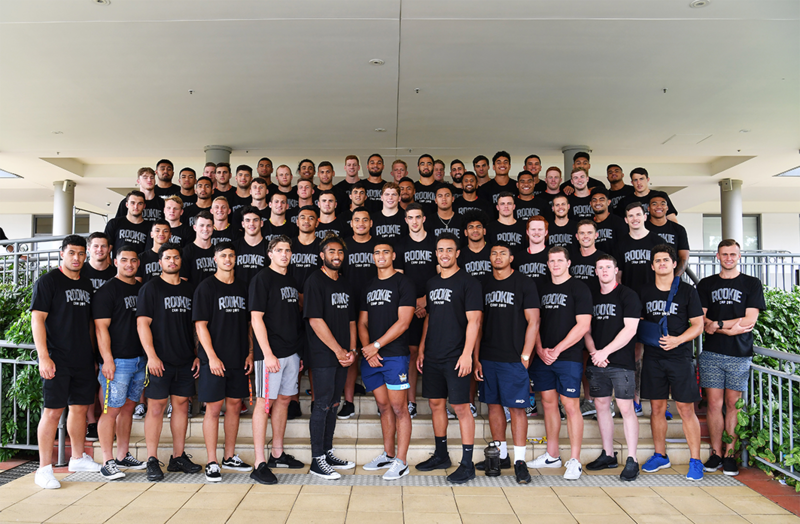 Players from all 16 NRL Clubs gathered at the Novotel Norwest on December 14 for the annual Rookie Camp which is delivered through the NRL-RLPA Wellbeing and Education Program. 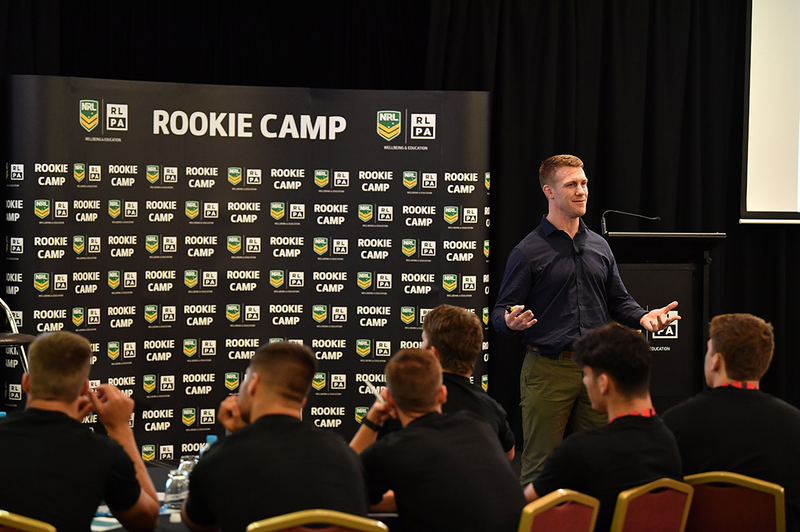 The group of 70 rookies took part in a range of workshops, including the Resilience Project, VET Pathways, concussion workshops, social media use, respectful relationships, financial literacy and an RLPA introduction among a host of other sessions. 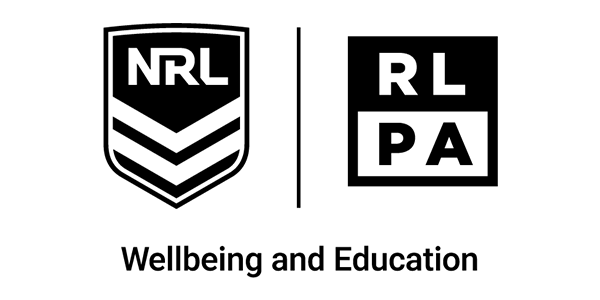 RLPA Player Operations Manager Tom Symonds and General Manager of Strategic Partnerships Robyn Watson presented to the group on the role of the Association broadly. 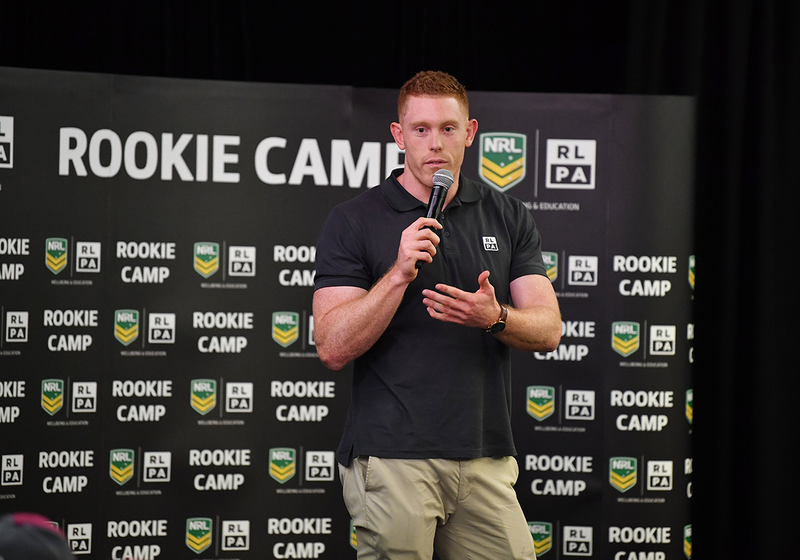 Some of the former NRL players who presented at Rookie Camp included Alan Tongue, Chris Heighington, Ben Creagh, Clinton Toopi, Matt Ballin, Brenton Lawrence, Sam Tagataese and Ian Roberts. 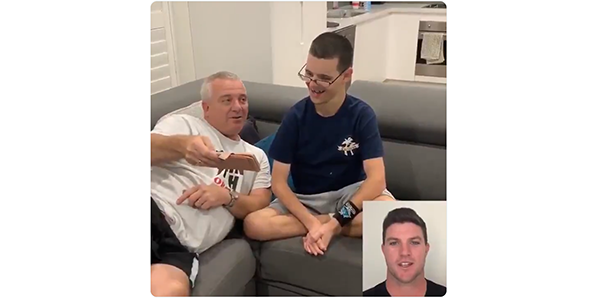 Cronulla Sharks rookie Bronson Xerri told NRL.com the camp was an enjoyable experience that he took plenty from (read the full story in the link below). 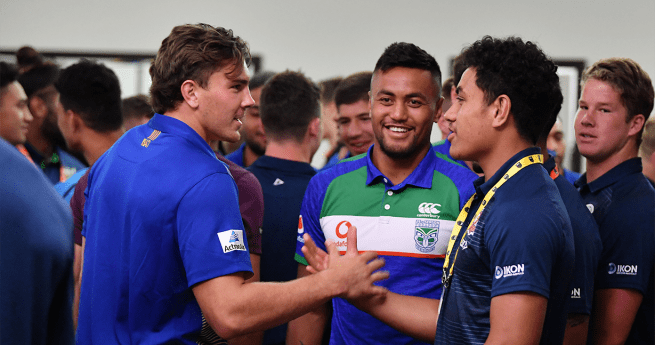 “I really enjoyed the camp and felt like I took a lot away from it,” Xerri said. 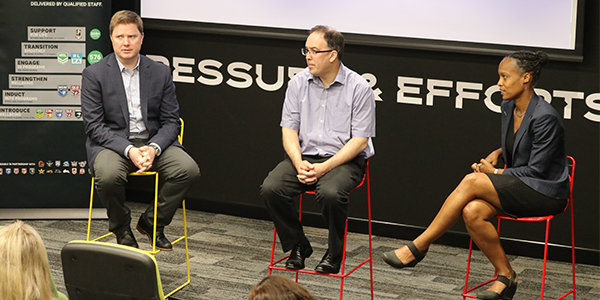 “Each presenter reiterated to us that it’s more than just about playing the game. 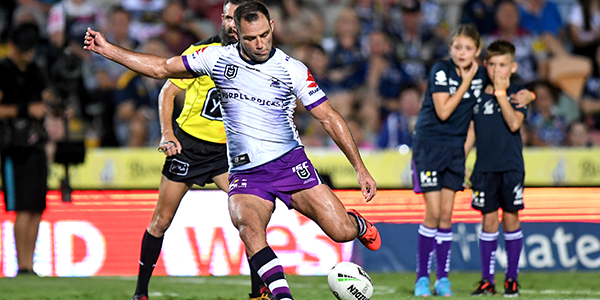 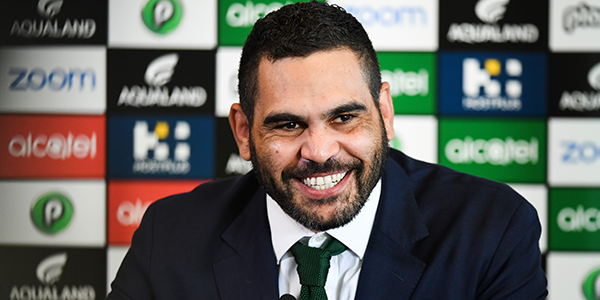 “There are so many different aspects to ensuring we reach our full potential both on and off the field – whether it be the state of our mental health, making the right decisions, pursing a VET pathway and making sure we are financially stable for life after footy, to touch on a few topic we discussed.